Roy Of The (Sligo) Rovers. | Come Here To Me! « A bit of Paris and Edinburgh on Moore Street. 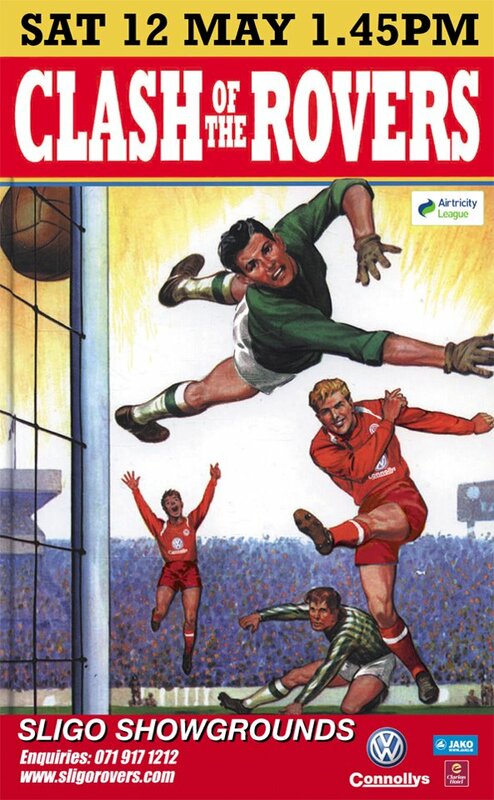 Roy Of The (Sligo) Rovers. 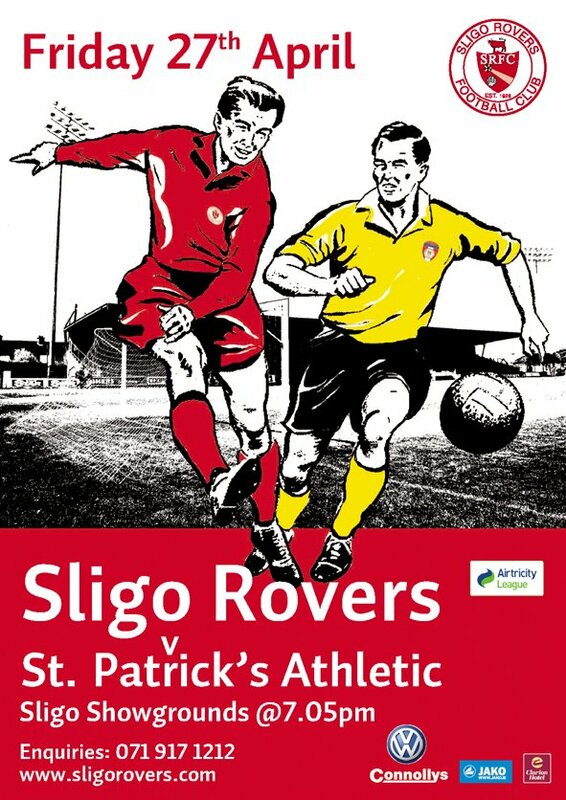 I love these match posters from Sligo Rovers, advertising their clashes with two Dublin sides. The first poster is for an upcoming clash with Shamrock Rovers, and the one below it last weeks clash with ourselves. I’d love to see match posters like this in Dublin, a fantastic effort worthy of praise. Love the way the players smile when they shoot.